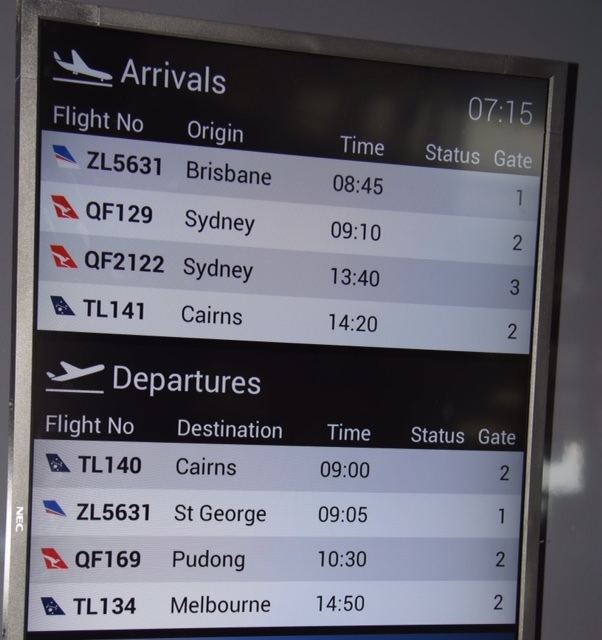 Sunday saw the first international passenger flight out of Brisbane West Wellcamp Airport, a milestone not only for the privately-owned airport but for Toowoomba and the surrounding region. 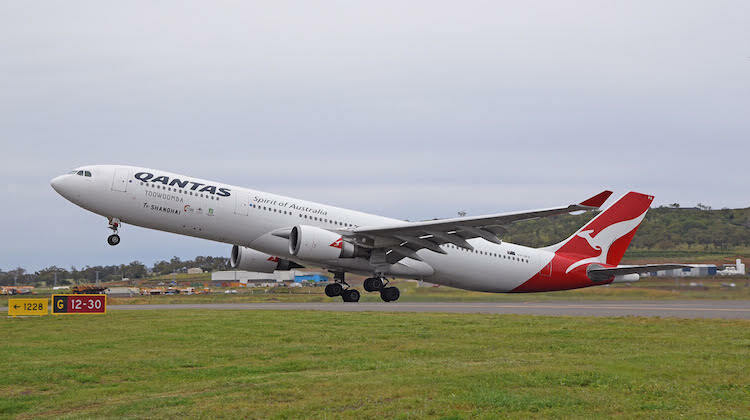 Qantas Airbus A330-300 VH-QPA operated the one-off charter to Shanghai, organised by the Toowoomba and Surat Basin Enterprise (TSBE) business group, carrying about 200 delegates to participate in a five-day AccessChina ’16 business delegation visit. 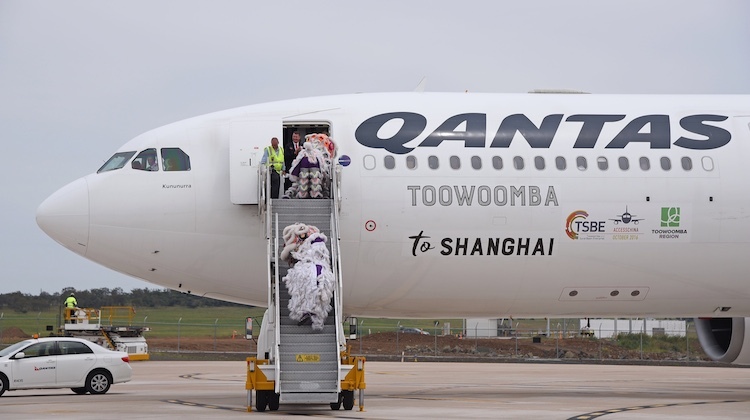 As QF 169 the A330, bearing ‘Toowoomba to Shanghai’ decals plus AccessChina and Toowoomba Region logos, took off from Wellcamp bound for Shanghai a little after 0900 local time. 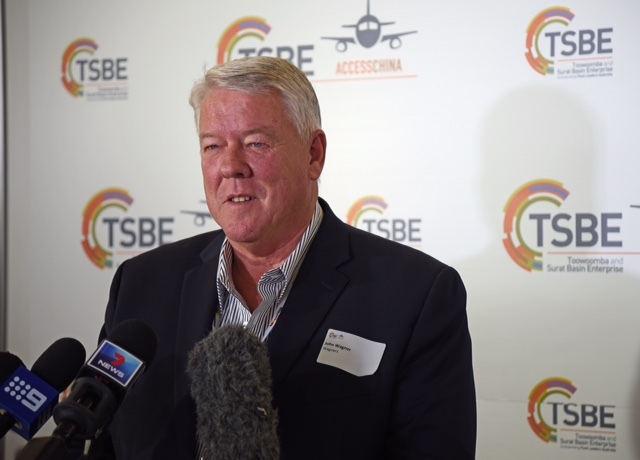 The TBSE-organised charter is designed to assist producers and other businesses from the region to learn about business opportunities for exporting into China. “We’re empowering small to medium sized enterprises to see for themselves where their products fit within the Asian market,” project leader Dr Ben Lyons said. 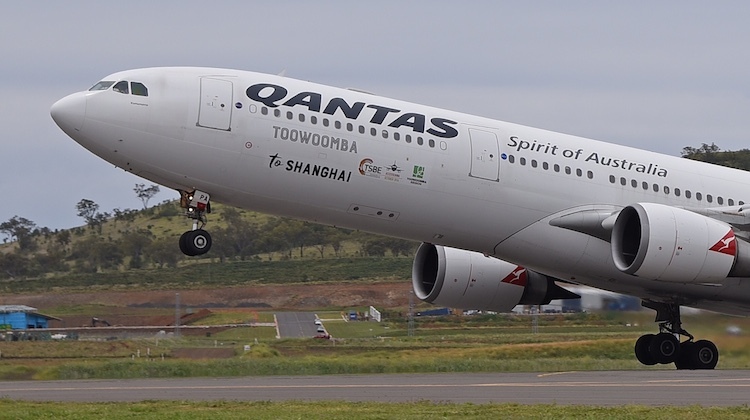 Brisbane West Wellcamp airport chairman John Wagner said the AccessChina ’16 flight was a huge milestone for the airport, with another landmark event to follow in November when Cathay Pacific commences a weekly freight service linking the region with Hong Kong. “We are on the cusp of some ground breaking opportunities and to create strong links with the world’s biggest consumer market, through an opportunity like AccessChina, is invaluable,” Wagner said. Federal Assistant Minister for Trade, Tourism and Investment Keith Pitt was due to deliver the keynote address at the opening of the AccessChina ’16 conference on Monday. He will join with Queensland Minister for State Development, Natural Resources and Mines Dr Anthony Lynham as well as Austcham Shanghai chairman and Elders China chief executive Craig Aldous, Zhongfu Group chairman Wu Puingai and Lyons, who in addition to being the TSBE project leader is also Food Leaders Australia chief executive. Pitt noted China was Australia’s top agriculture, forestry and fisheries export market with exports valued at $11 billion in 2015. “China is key to the future success of Australian agriculture,” Pitt said. Wellcamp’s first international flight was Cathay’s one-off freighter service in November 2015. Wonder if anything special is happening at Badgery’s Creek airport? What’s that skip? Another impact study is underway? Ahh – come back in 2019? Ahhh ok then. And how’s that New Parallel Runway at BNE? Not until 2020? Pigs will fly before any thing happens at Bagerys. It is amazing what can happen when forward thinking people put their money where their mouth is and actually do something. 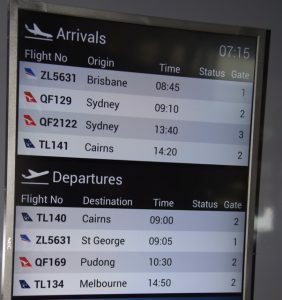 So this QF flight was a one off charter, was this just to say that it was an Australian Airline to do the first international flight? Now the remaining will be all Chinese Airlines? Am fairly sure that CX operated the first heavy cargo flight out of Wellcamp quite some time ago…a 747 dash 8F.